It's Friday afternoon and everything's going great. You have no meetings on the calendar and you've already finished your to-do list for the week. There's nothing left to do, but take the rest of the day off, right? Of course, you're halfway home and the phone rings... Your mission-critical service has decided to go belly-up, and now you have to trek back to the office. You can't always predict what will happen or when, but you can be prepared. 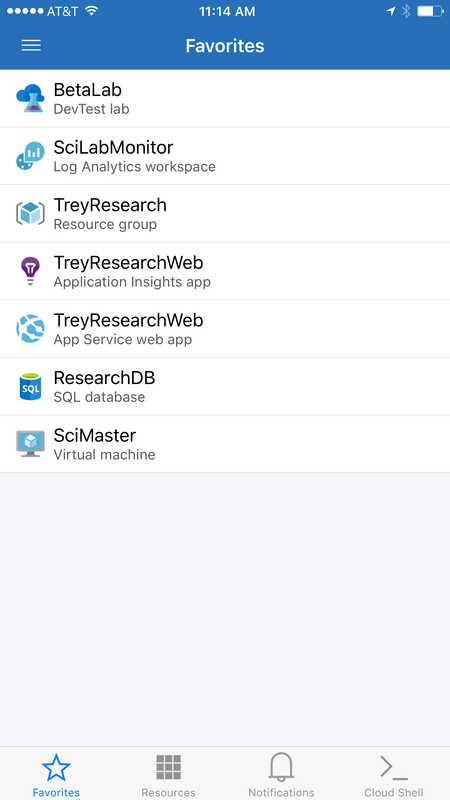 That's where the new, Azure mobile app preview comes in. Stay connected to your Azure resources – anytime, anywhere. The Azure app is with you when you need it and ready to take on those unpredictable moments, saving you that unwanted trip back to the office. However, that only scratches the surface of what's available today and especially what's in the roadmap. 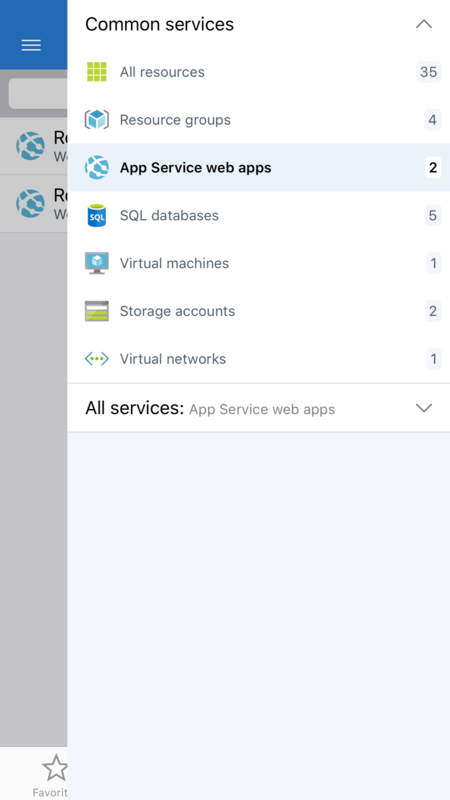 The Azure app puts every subscription resource from every service in your pocket. 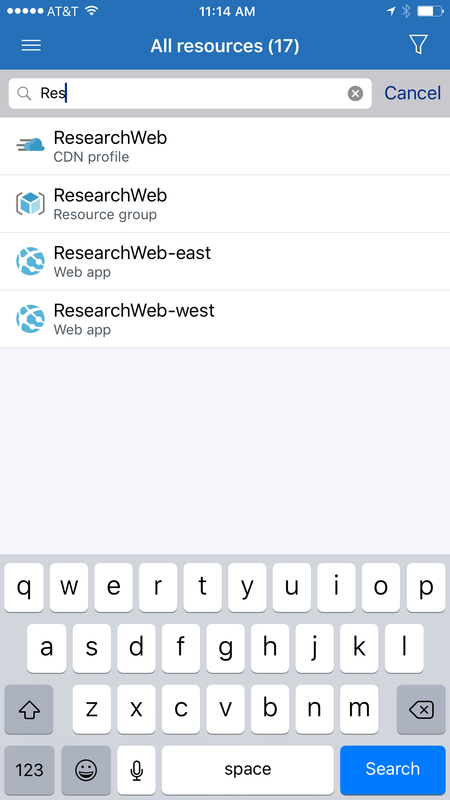 Scroll through all your resources and resource groups, search by name, or filter by resource type to find the resource you need. For those of you with a lot of subscriptions and resources, scrolling and filtering your way to the right resource might get a little tedious. Save swipes and taps by adding the resources you want to keep a close eye on to your favorites list. Just open the resource, tap the star, and go. 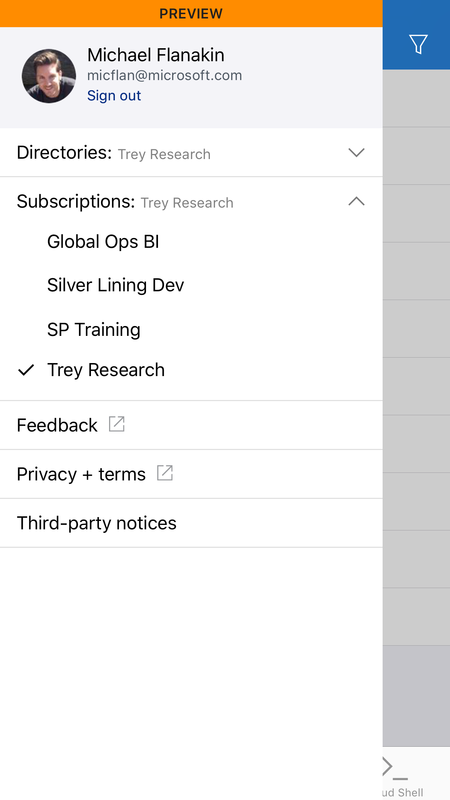 The next time you open the app, you'll start on the Favorites tab to help get you to your resources faster than ever. Perhaps the most important aspect of building your business in the cloud is the confidence and knowledge that everything's up and running and your customers aren't impacted by unexpected events. With the Azure app at hand, you'll never need to guess. 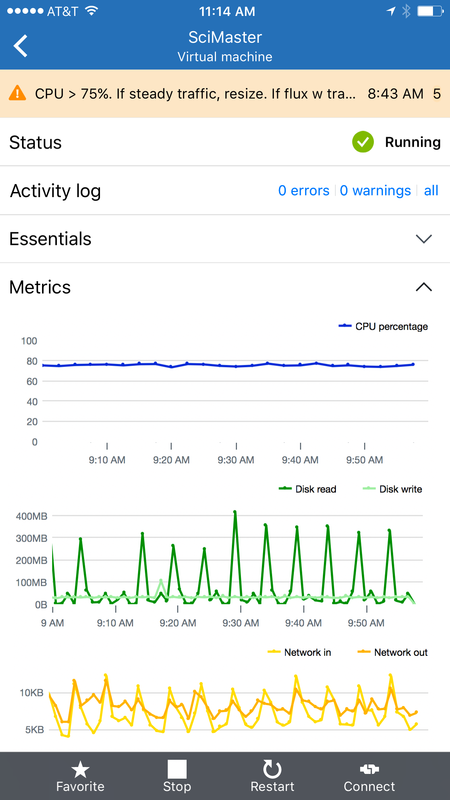 Just open the Notifications tab for a personalized list of Azure health alerts and important metrics that you're monitoring for your resources. 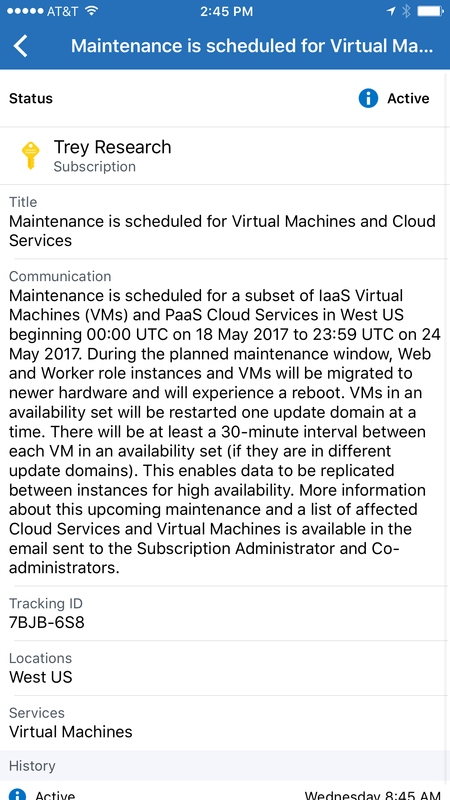 In addition to getting metric alerts on the Notifications tab, you'll also be notified about these alerts when you visit resource details. Just tap the notification to open the details. Of course, many more are on the way. As a companion app for mobile workers, the Azure app doesn't include every feature in the Azure portal. But we're eager to bring you the features you need most when on-the-go. Let us know what will be most useful to you in the feedback forum and don't forget to check back for updates over the coming weeks and months. 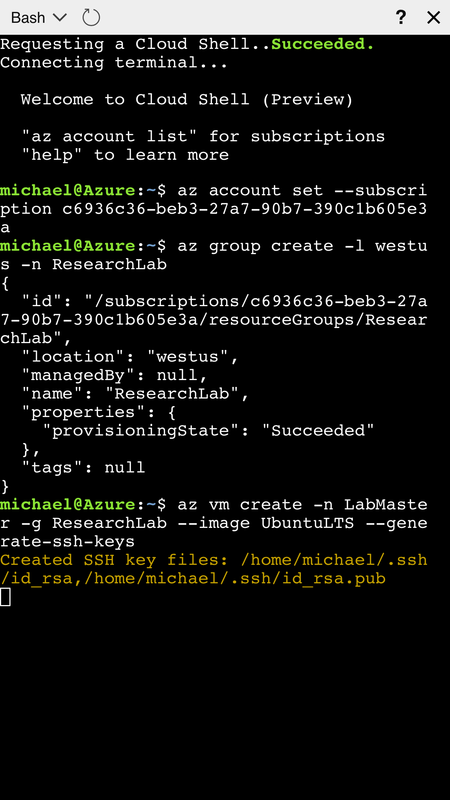 If you're passionate about scripting and automation, like I am, you'll love the Azure Cloud Shell in the Azure portal. Whether you prefer Azure CLI or Azure PowerShell (coming soon), the Cloud Shell is your personalized workspace. It gives you all Azure command line tools as well as relevant utilities like cURL, Git, and Vim. And, if that isn't enough, you'll be able to take the Cloud Shell with you, wherever you go. Start a session from the portal and pick up where you left off when you're away from the office. The Cloud Shell preserves your code, configuration, and activity in your $Home directory across sessions and across devices. Of course, saving in-progress work across devices is where it starts to get interesting. 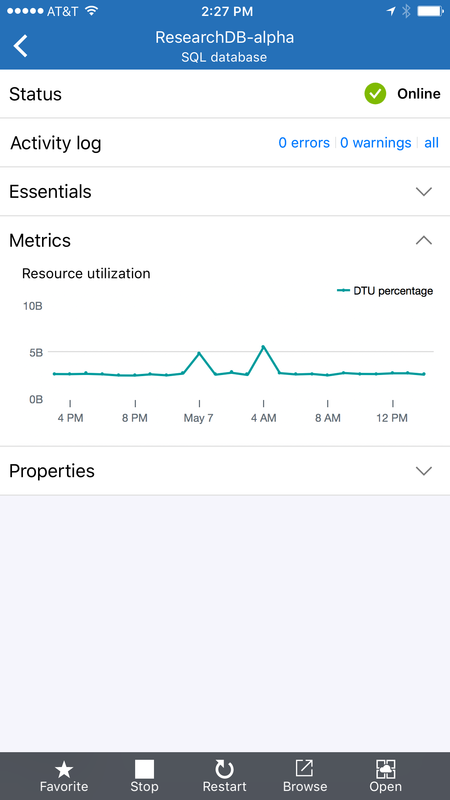 With the power of the Azure mobile app, you'll have access to any script in your $Home directory, from virtually anywhere. 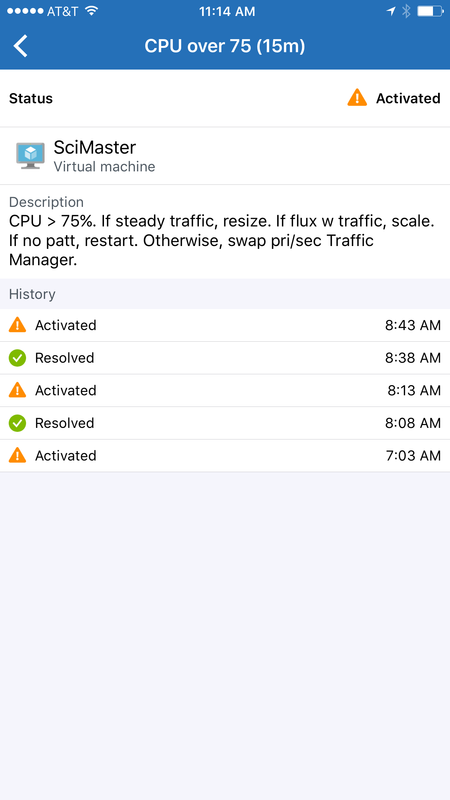 Complicated rollback and redeployment script? No problem. 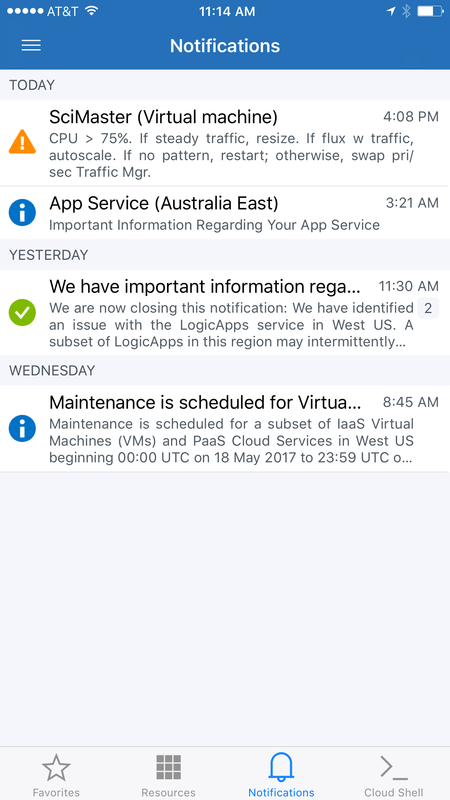 The Azure mobile app is there when you need it. No need to head to your computer, or worse yet, back to the office. Just open the Cloud Shell tab and go. Learn more in the Azure Cloud Shell overview. Download the preview app today and let us know what you'd like to see next in the feedback forum! Keep an eye out for updates and follow @AzureApp on Twitter for the latest news. 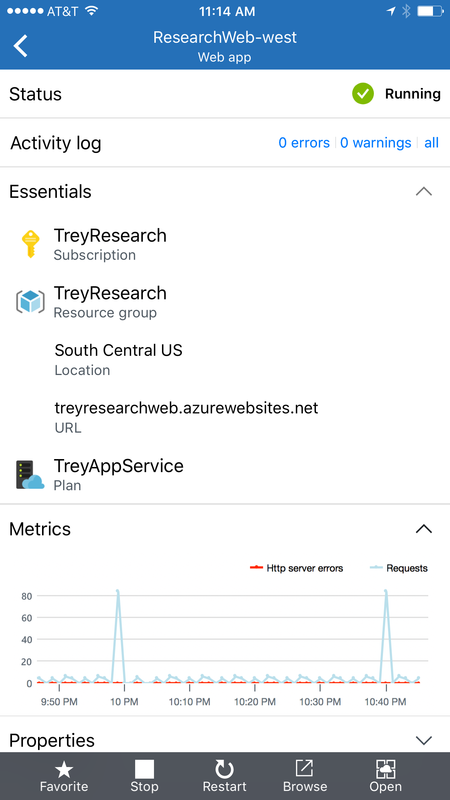 We hope you enjoy the Azure mobile app – the fastest way to check status, critical metrics, and alerts for your Azure resources!